Installing Gitlab for Code Hosting on Cloud Server can reduce the cost of maintenance. Here the practical technical points and requirements are discussed. Previously we discussed about the options for Free Project Hosting and Code Hosting for the developers. The terminology ‘developers’ now has been expanded and not necessarily means only the professionals who has university degree (s) for being a computer programmer. With the advent of Free Software Movement, Licensing has been easier as well. Using a third party proprietary or partial proprietary web software, including web interface has the problems of root level control of the source codes, in special cases and projects. Just like wordpress free blog can not substitute self hosted wordpress; both by features, functions and flexibilities, we need some code hosting software with some advanced features. All has heard of Git, Git is a free software for distributed version control of files. Git is free but demands a web interface and a custom CLI tool. We discussed the options of Git Repository With Web Interface which one can host on own Server. 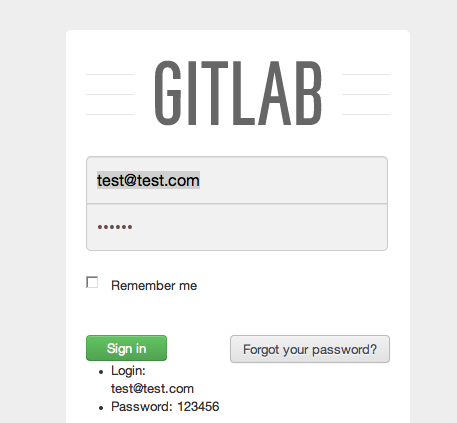 Gitlab appears to be most advanced among Git softwares which provides a Web Interface. The paid and highly costly alternative proprietary software Github Enterprise is not recommended for sensitive special purpose usage, due to lack of transparency of the source code. This discussion on Installing Gitlab for Code Hosting on Cloud Server assumes that, you have decided to use Gitlab for Code Hosting. Officially for installing Gitlab for code hosting the required Operating System is Debian. However it can be installed on other non-Debian origin Linux distros too. This Article Has Been Shared 8931 Times! Cite this article as: Abhishek Ghosh, "Installing Gitlab for Code Hosting on Cloud : Options," in The Customize Windows, April 16, 2013, April 26, 2019, https://thecustomizewindows.com/2013/04/installing-gitlab-for-code-hosting-on-cloud-options/.